During the summer, The Secure email provider 'Lavabit' and preferred service for PRISM leaker Edward Snowden decided to shut down after 10 years to avoid being complicit in crimes against the American people. The U.S. Government obtained a secret court order demanding private SSL key from Lavabit, which would have allowed the FBI to wiretap the service’s users, according to Wired. 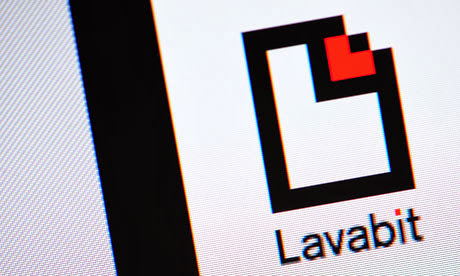 Ladar Levison, 32, has spent ten years building encrypted email service Lavabit, attracting over 410,000 users. When NSA whistleblower Edward Snowden was revealed to be one of those users in July, Ladar received the court orders to comply, intended to trace the Internet IP address of a particular Lavabit user, but he refused to do so. The offenses under investigation are listed as violations of the Espionage Act and Founder was ordered to record and provide the connection information on one of its users every time that user logged in to check his e-mail. The Government complained that the Lavabit had the technical capability to decrypt the information, but that Lavabit did not want to defeat its own system, So on the same day, U.S. Magistrate Judge Theresa Buchanan ordered Lavabit to comply, threatening Lavabit with criminal contempt. FBI's search warrant also demanded all information necessary to decrypt communications sent to or from the Lavabit email account redacted including encryption keys and SSL keys. But because Lavabit hadn’t complied till August 5, and a court ordered that Levison would be fined $5,000 a day beginning August 6, for every day he refused to turn over the key.